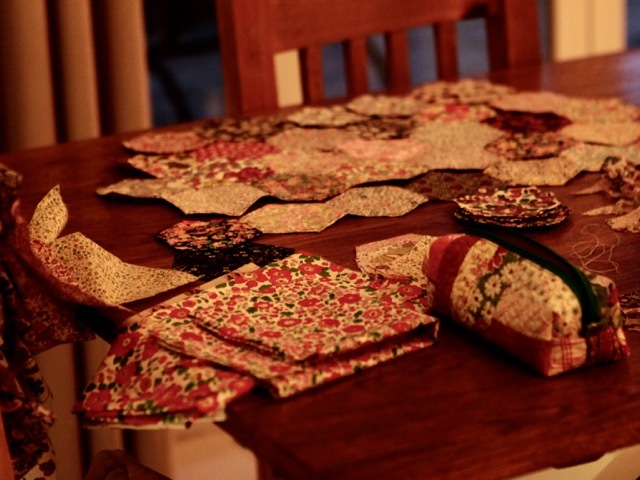 Last Sunday afternoon I decided to go on with my hexagon pillow, and to move in the dining-room. 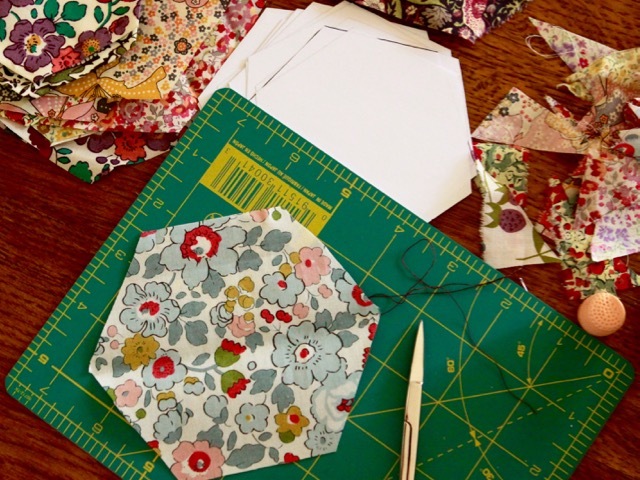 Sometimes I don't like to be isolated in my studio, especially when it is for hand stitching. I prefer to have life around me, to hear the sound of the TV... 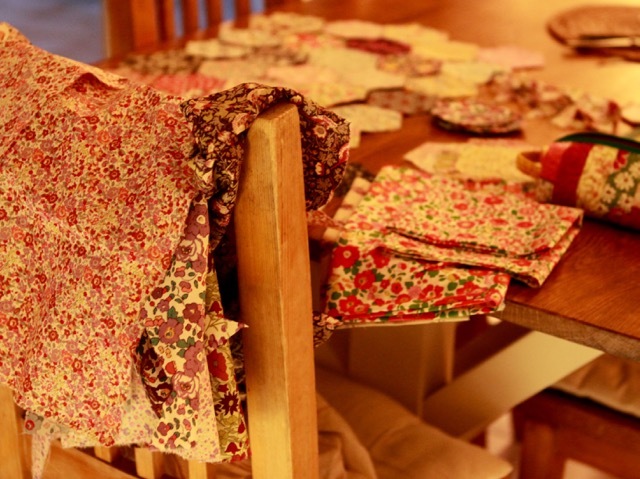 The drawback is the mess left on the dining table when dinner time approaches! :o)) I know what you mean ! And ... how was your dinner...between the fabrics and hexies ? Sometimes I need to do the same thing! On those nights we order out! LOL!! Oh Christine it's a lovely looking "mess" though! 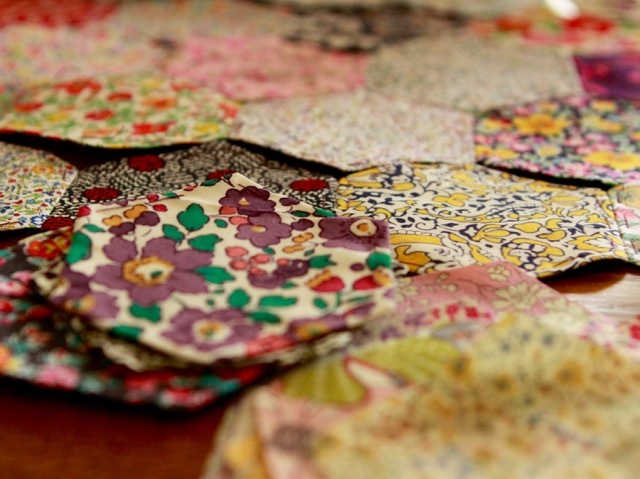 Such beautiful hexies, who wouldn't wanted to be surrounded by them? I didn't realize that your hexies were large. What a fun surprise! It's going to be a beautiful pillow, showing off all of those charming prints so well. J'ai l'impression que tes hexies sont grands ! Quelle taille font-ils ? nous sommes toutes semblables, nous aimons la vie autour de nous! Haha I do that every day. I too like to be in the thick of things. I have a sewing room but its not big enough for me AND my stash! 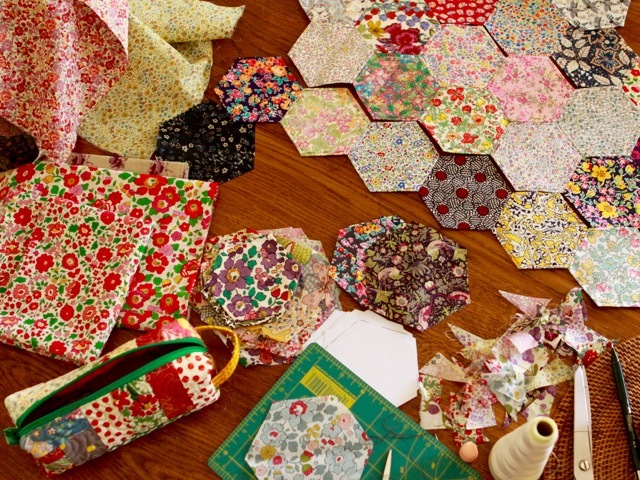 Those hexies look so gorgeous Christine! 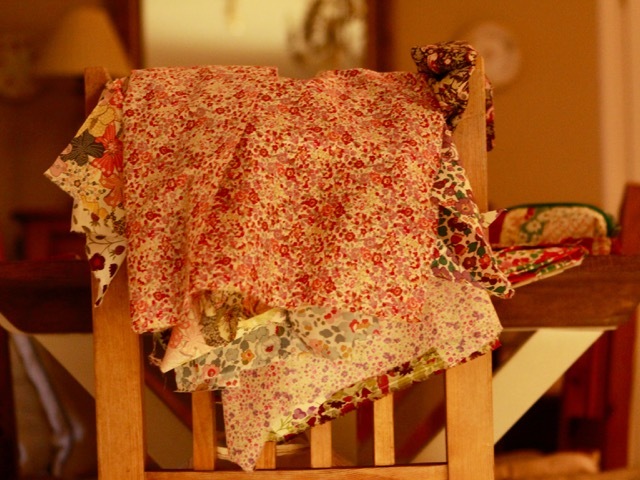 What a wonderful mix of fabrics you have put together. I do the same thing for companionship too: I sometimes move my old Singer down to the kitchen table just so I can be near people. We just have our dinner at the other end of the table. 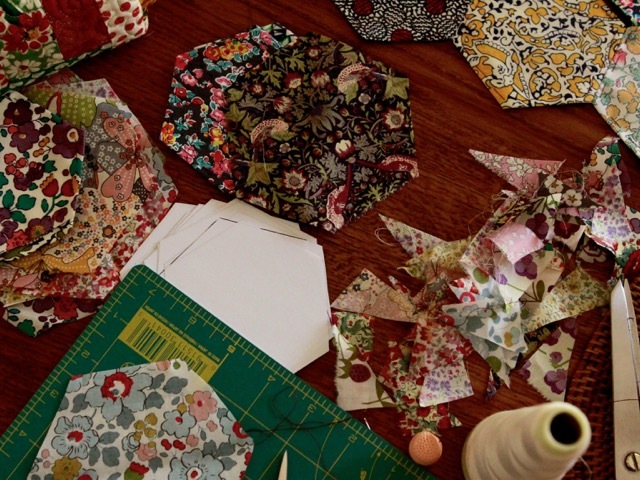 Love your Liberty hexies. All the best for getting your cushion finished. Leave it on the table and have a picnic! That's why I like summer, we eat out on the patio most days so I can mess up the dining room table. Charming hexies!! Wonderful liberty's isnt' it ? I like it.